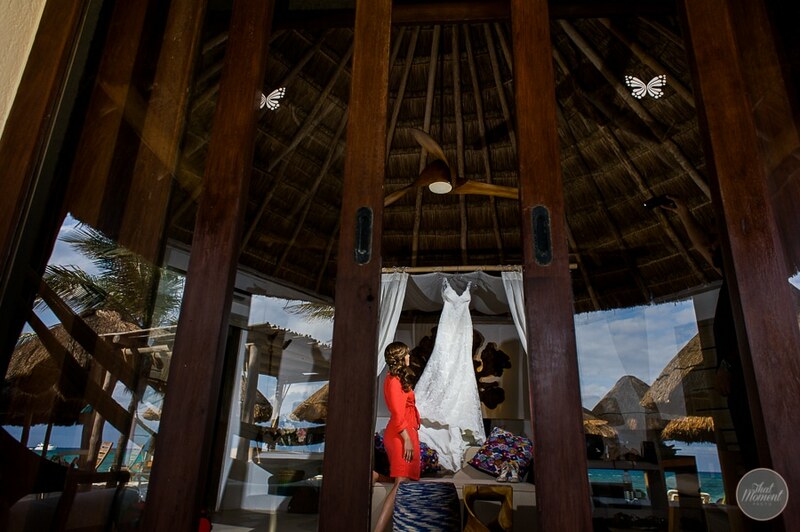 Liz Moore Destination Weddings loves That Moment Photo! Importantly, we have a unique wedding that we would like to feature. 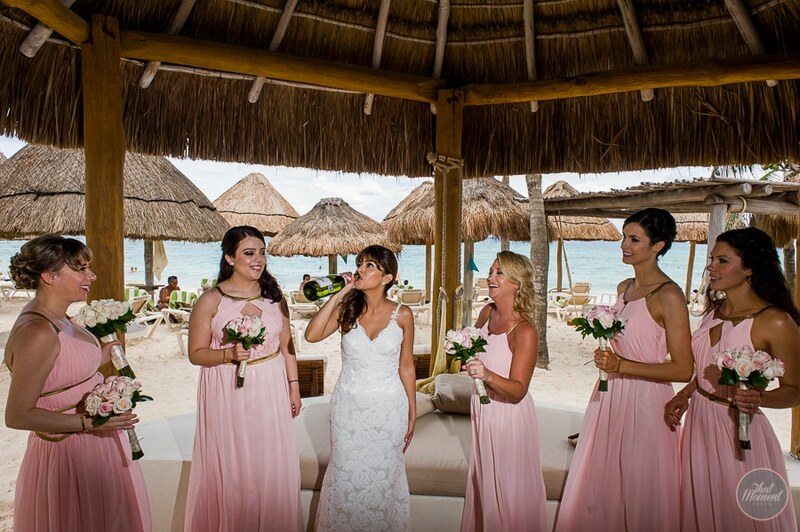 This beautiful couple had their wedding at the Mahekal Beach Resort in Playa del Carmen, Mexico. Today, we want to take you on a journey of their wedding day, from beginning to end. What is so uplifting about That Moment Photo is that their photos always tell a story. What this means is that you feel enchanted by the couple they are photographing, you almost can’t believe how in love they are. Furthermore, let’s take a look at this beautiful wedding day captured by That Moment Photo. Primarily, one of the best parts of wedding photography is when the bride and groom are getting ready. The groom and his groomsmen are putting on their tuxedos, drinking, and laughing. Meanwhile, the beautiful bride is having fun getting dolled up with her bridesmaids and feeling fine. It’s a magical moment where you laugh and drink with your friends separately, almost as if you are having your last moments before married life. It’s never sad; it’s exciting because you are about to celebrate a day you’ve been dreaming about your whole life. That Moment Photography knows how to capture those special moments as if you were standing right there with the couple. One of the most emotional parts of a wedding is the ceremony, also one of the most beautiful parts. Walking down the aisle with your friends and family, surrounded by people that you love and are so happy for you is a very magical experience. Moreover, the look on the groom’s face when he sees his beautiful bride is utterly priceless. The minute you see your bride or groom for the first time on your wedding day is about the moment you knew that you loved that person. It’s romantic, unique, and That Moment Photography has the whole perspective on making sure you remember that moment for the rest of your lives. Another rewarding part of the ceremony is even just watching the couple read their vows and seeing them so happy. An excellent quality of That Moment Photo is that they know how to capture those moments without being noticed. Your focus is not distracted by the photographer; it’s on the couple. After the Ceremony, the photo shoot can begin! 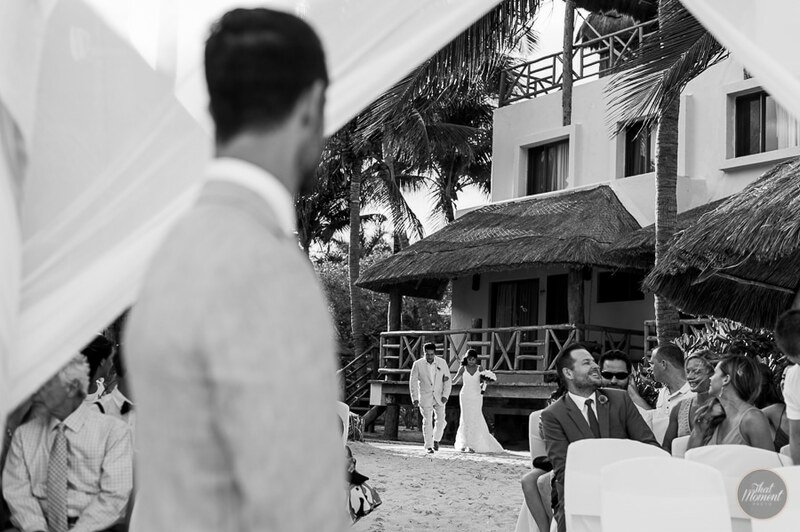 Now, an amazing thing about having a Destination Wedding is that you have the most beautiful backdrop for your photo’s. Mexico has some stunning beaches, which makes this photo shoot fun with That Moment Photo! That Moment Photo makes sure that your photos’ look like they belong in a magazine because they are so picturesque. Furthermore, will allow to look back and remember your wedding as fun, beautiful, and one of the best times of your life. Now, let the celebration begin! Food, drinks, and dancing, what is better than that? Well, doing it in Mexico is your first step to actually making a memorable night. The second would be hiring That Moment Photo to help you remember it! So, while you have fun and dancing with your friends and family, That Moment Photo will be there capturing it all. 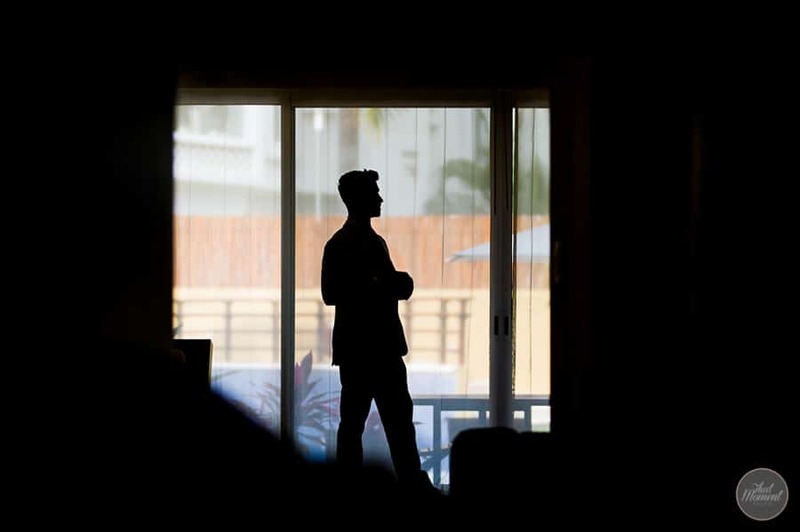 You get to know the photographer and feel completely at ease to kick back and be yourself. Because those are the best pictures and the ones that you want to keep forever. 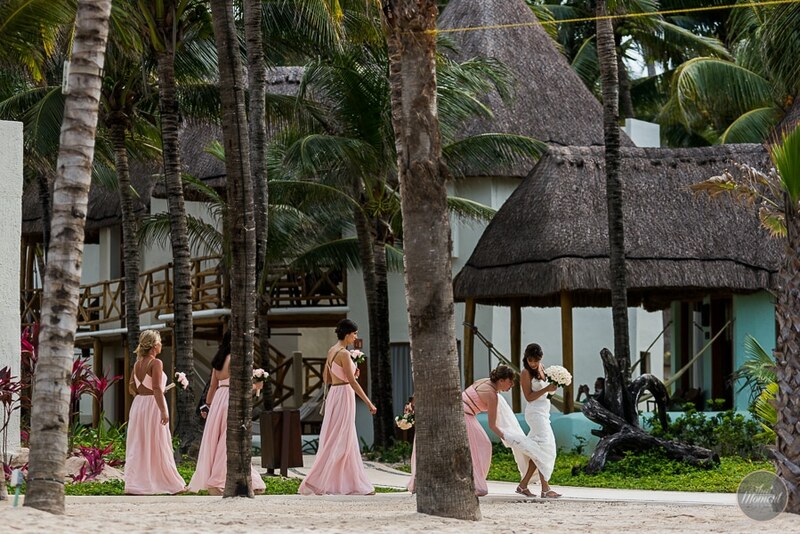 You can find out more information about That Moment Photo and Mahekal Beach Resort from the links below. Ultimately, we hope that you enjoyed the wedding day journey with us and congratulations to the beautiful couple!